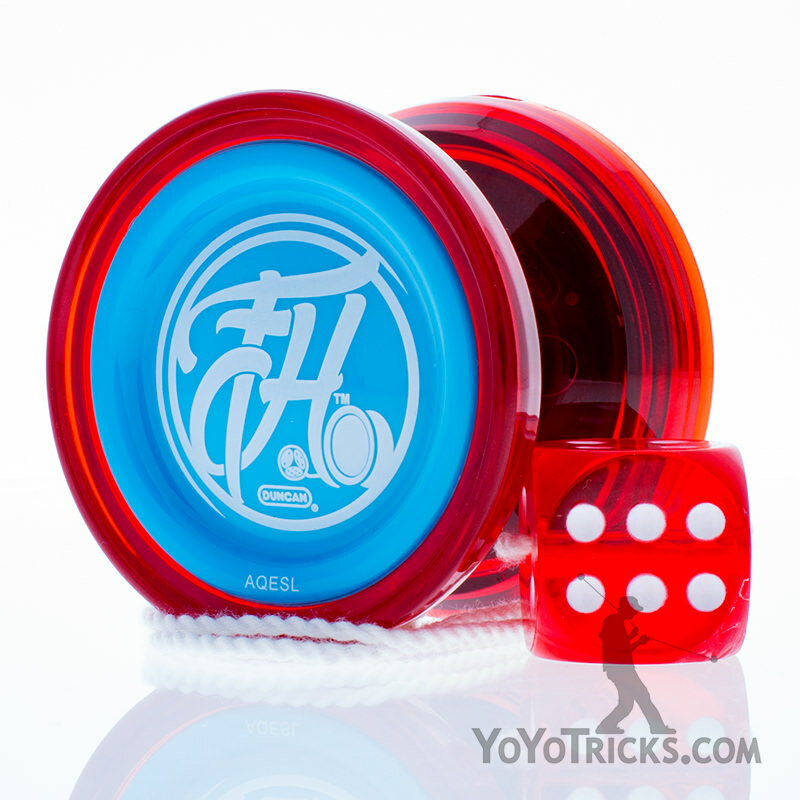 Mod your Metal Drifter Yoyo or Freehand Yoyo to make it unresponsive. Metal Drifter Unresponsive Kit Yoyo TrickIn this video I am going to show you how to mod your Metal Drifter yoyo to make it unresponsive. In fact this mod is so easy and so simple some people wouldn’t even consider it a mod, it’s more of a tune up. Either way, it works really well. It makes yoyos like the Metal Drifter perfectly unresponsive. It’s a great thing to do. It helps the yoyo play better, sleep longer. It will just make it more useful in general. 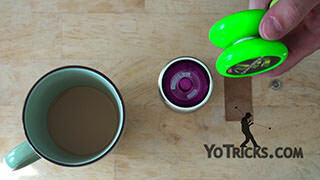 The same mod will also work for other Duncan yoyos like the Freehand. It will work for the Freehand Zero light-up yoyo. Pretty much any Duncan yoyo that uses a size A bearing and has recessed brake pads. All you need is the yoyo that you want to mod, the thin silicone brake pads that we have and also a clean size A bearing. These bearings that we have, they are a little bit higher quality than the bearings that come in the Duncan yoyos. They will help the yoyo sleep longer and just play better in general, so that is a good way to go. We sell all these things as a kit with your Metal Drifter Yoyo and sometimes some other Duncan yoyos as well, if you want to get the whole package to make the yoyo unresponsive. It might also help if you have a cup of coffee handy. It is not strictly necessary, but it is nice. Once you have everything in place then what you are going to do is take your yoyo apart, of course, and you are going to take this old bearing right off the yoyo. Just set that off to the side, you really won’t be needing that any more. Of course we are going to be replacing it with this new bearing. Before we do that we are going to need to replace the brake pads with these new thin ones. All you are going to do is just dig your thumbnail under there. Try to get all the glue off, as much glue as you possibly can. If you pull the brake pads off in a nice smooth motion then you have a greater chance of getting the glue off, of getting them off in one piece; it doesn’t have to be absolutely perfect, but it helps. As you can see it comes off pretty easy. There is still a little bit of glue there, but it is not a big deal. Once you get that brake pad off, of course you won’t need that, you can just ball that up and throw that away. Then you are going to take one of your brake pads off of here. See if you can separate that. Sometimes it comes off with the whole ring there. If it does that you just have to push through and get that center piece out. It’s like a donut hole, but you don’t need that. You can’t eat that, of course. You are going to take that, and these pads are thinner and they are also more narrow so it is not going to fill up this whole space, but you want to do your best to get it as centered as you can. You just want to keep it away from the center of the yoyo just a little bit, you can smooth out any parts on here if it gets a little bit of a ripple on it. These pads are so thin that even if you get a little bit of a ripple it is no big deal. You can kind of push away from that a little bit to help smooth that out. When you run your finger over it you will notice that you can’t really feel it too much. They fit in there just like that. Like I said it does not fill up the whole area which is actually pretty good, because it helps it play even more unresponsive, but it will still give you a tight bind. Because this is clear silicone it is actually going to last quite a bit longer than the Duncan pads that came in the yoyo. In fact it may even outlast the life of the yoyo. 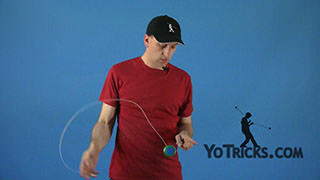 I was using a yoyo like this for about two years before I had to change the pads out. It might not last that long for you, but it is a pretty good option. Once you get the pads on both sides changed out you just put the bearing in. Take the yoyo and put it back together, of course once you get the second pad changed out, which I won’t do in this video. That should pretty much be it. Just throw a new string on there, and your yoyo will now sleep longer and play unresponsive. That is how you mod, or tune up, your Metal Drifter and other Duncan yoyos to play unresponsive.